As I am writing this I have a huge smile on my face, the sort of smile you attain if someone gave you a million pounds. The simple reason I have this smile is because I am thinking back to the weekend of the Audi international show at Castle Combe circuit. It was one of those moments where I applied the ‘don’t ask don’t get rule’. A rule that is very important to me. As we were exploring the show that day I couldn’t help but keep going back and looking at the AMD S3 touring car. I have always been obsessed with racing cars because in my mind I am a racing driver, so when I saw Ollie Jackson standing by his car I thought I would go talk to a fellow racer about this superb car. We talked about many interesting topics like tyre heating and flappy paddle vs a sequential stick pull thing, it was all very precise. But as I was standing there boring Ollie to death in which he was probably thinking ‘why doesn’t this man and his big nose go away’, I saw a spare seat. You know that rule I mentioned, well they somehow agreed to take me around the track. Maybe I impressed them with my “knowledge”… I like to think that. But really it was thanks to the great kindness of the AMD team, you guys rock. AS I WAITED I COULDN’T HELP BUT TO THINK HOW FORTUNATE I WAS, THIS CAR WAS RACING IN A BTCC RACE A WEEKEND OR SO BEFORE THIS. The pit lane was awesome, it had a vast array of so many different Audi cars which included every new RS3 particularly in grey that existed in the world. If you came down your stairs for work that day looking forward to blasting your way down the M25 or autobarn only to find your RS3 was gone i’m sure it was visiting its brothers. As the drivers were waiting in the pit lane they all had their eyes on the touring car, not one of them thought they couldn’t have him. I watched Ollie bomb out of the pits for a few warm up laps and a passenger ride before me. As I waited I couldn’t help but to think how fortunate I was, this car was racing in a BTCC race a weekend or so before this. When do you get an opportunity to ride in a car that had just finished a race in anger? This fulfilled a little dream for me, so when he came into the pits and I jumped in the near 400hp beast I couldn’t help but feel that I was at home. As I was being strapped in I definitely decided I was a racing driver. 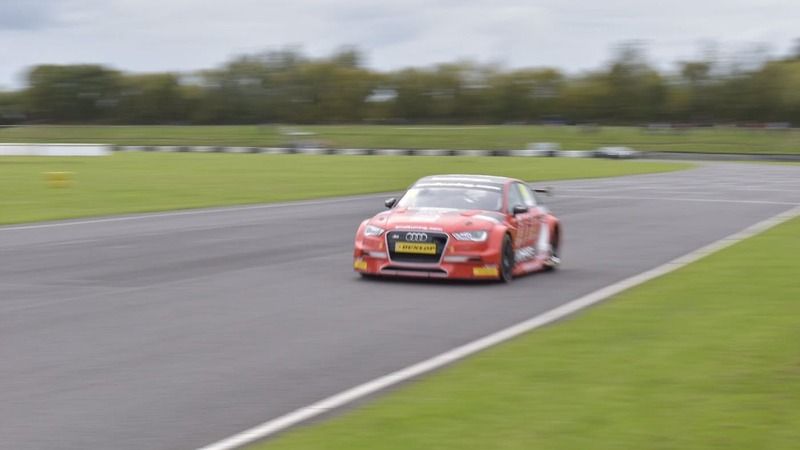 AMD Audi S3 BTCC Touring Car lapping around Castle Combe Circuit driven by Ollie Jackson. A focused Ollie Jackson Doing his thing. When we shot away from the pit lane the first thing that hits you is the immediate acceleration, these guys really don’t hold back, they push it straight away, there was no ‘Miss Daisy’ mode. Although we were shooting out of corners and embarrassing RS3’s like they were visibly not moving, it all felt very controlled and wasn’t as neck bracing as I thought. The grip was inspiring, after using the amazing brakes he would chuck the car into the corner and then get on the power half way through. The car had one or two oversteer moments, but really nothing to worry about, it just stuck. I could genuinely see how these guys have the confidence to push, they seem such a pleasure to drive. But I think one of the best things was the sound. The AMD boys had to put three – yes three silencers – on the car to meet the track noise limit. I wish I got a ride with no silencers because the noise was still really awesome. The wine of the transmission and the engine going up and down the gears was special, the pure stripped back raw sound of Motorsport. Have a look at the video and turn the sound up. Coming into the pits was a sad moment, I really didn’t want to get out. I thanked Ollie for the awesome few laps, even though he does this every other week you could see the joy in his eyes. It must be amazing to wake up and do that for a living. As I unwrapped my long leg’s from the roll cage I watched my friend Sebastian chuck me out so he could also have his long fulfilled dream come true and have a ride. Being in that touring car probably didn’t do me any favours at all. The more I think about it I am becoming more miserable as this article goes on. The simple fact of that is because although I think I am a racing driver, I probably won’t be one. A shock I know, but although I said earlier I have a massive smile on my face its now gone. I now need a lot of money because I must buy the car. Its the buzz I seem only to get from motorsport, the feeling of speed. So if you get the chance to experience your favourite cars I warn you, make sure you have a lot of money, because you are going to want to buy one. A massive thank you must go out to the AMD team for letting me have a ride! And also Ollie for not crashing and killing us. If you like Audi cars then Audi international is the show for you. 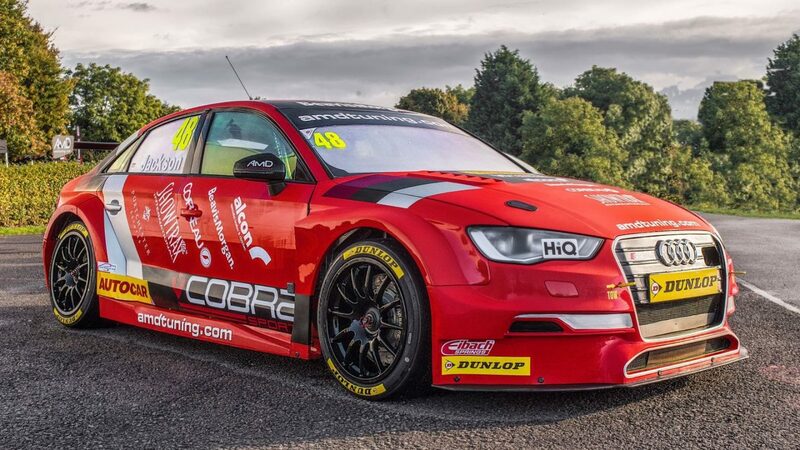 This entry was posted in Articles and tagged audi, audi international, btcc, castle combe.